Established in July 2010, we deal with Permanent, Temporary and Contract/Interim management roles across a wide range of industries, and supply some of the largest companies in Gibraltar. We recruit for jobs in Gibraltar in On-line Gaming, IT, Accountancy and Finance, Investment Banking, Compliance, Marketing, Company Administration, Human Resources, Secretarial, Legal Services, Insurance and Construction amongst others. 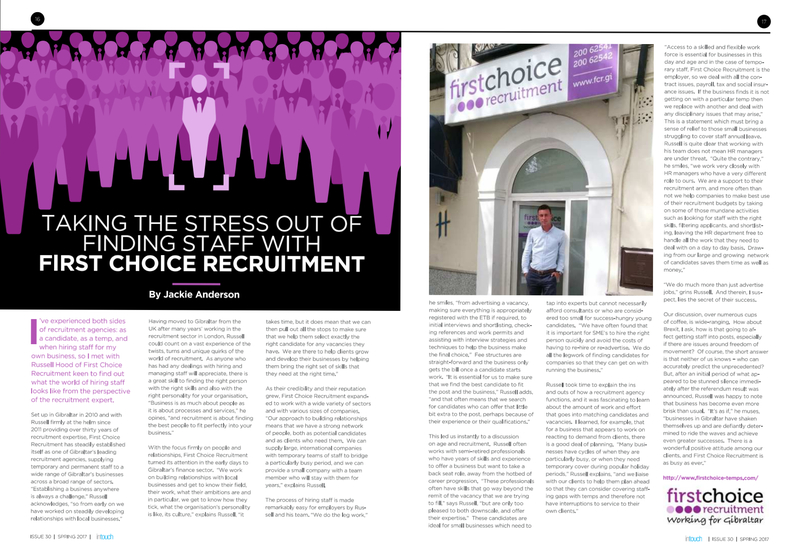 Whether you are actively seeking a change of role, a new direction for your career, a temporary or contract position, or would just like some advice about opportunities which is objective, realistic and honest – then Please email your CV today or call us on 00 350 200 62541 for an informal chat.